The Puzzle Roll is the perfect travelling companion. 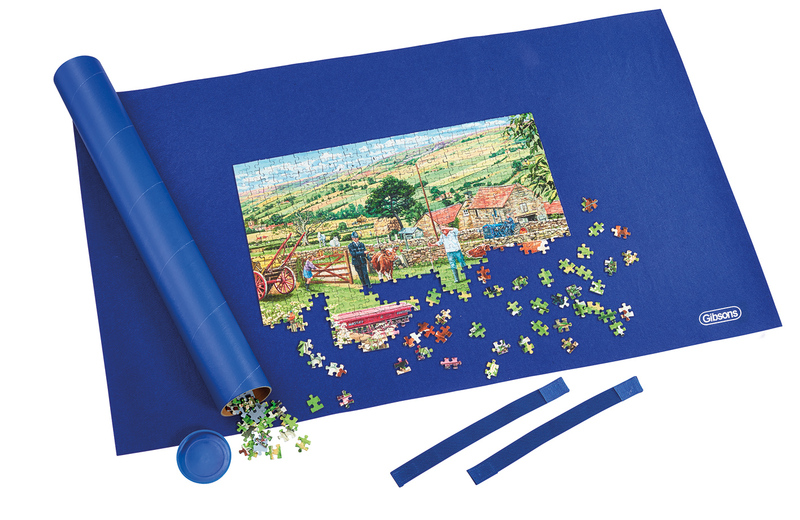 Suitable for any jigsaw size up to 1000 pieces, The Puzzle Roll is a high quality jigsaw puzzle mat that can be rolled up and transported with ease. To avoid any creasing, the roll is presented around a cardboard drum which is perfect for keeping spare pieces safe during the transition. Finally, the elastic and velcro bands ensure everything stays in place!